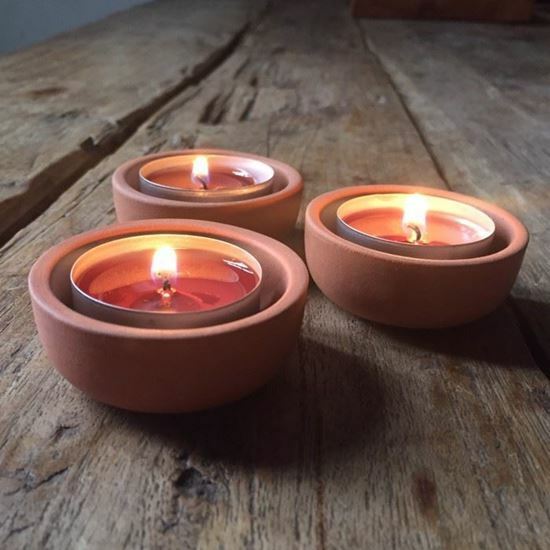 Set of three miniature terracotta bowls for use with standard tea lights. Terracotta is perfect for creating a warm atmospheric glow. The tealights will illuminate the inner rim of the holder creating a ring of warm light. Made in the UK at our pottery in Newark, Notts.